Many different plant species have stinging hairs, but only a few are found growing in Florida. Most of the plants that sting in Florida are from the Urtica genus, which are nettle weeds. Although some stinging plants have certain medicinal uses or are edible, the plants’ stinging hairs contain toxic compounds that can cause skin rashes, stinging sensations, or pain and severe itching. The heart-leaf nettle (Urtica chamaedryoides), also called the weak nettle or ortiguilla, is an annual herb with stinging hairs that grows in Florida’s northern, central and panhandle regions. The heart-leaf nettle is usually found growing in floodplains, fertile woodland areas, disturbed sites and in farmyards. Heart-leaf nettles grow 4 to 20 inches tall with weak stems that branch from the base of the plant. The leaves are triangular to heart-shaped, 1/2 to 2 1/2 inches long and 1/2 to 1 1/2 inches wide, and arranged opposite each other in pairs along the stems. The stinging hairs are filled with liquid and cover the stems. From spring to summer, the heart-leaf nettle blooms in Florida with tiny spherical clusters of greenish flowers that emerge from the leaf-stem crotches on the plant. The stinging nettle (Urtica dioica) is an erect perennial that has clustered, elongated, compound flowering inflorescences, found only in the northernmost part of Florida. 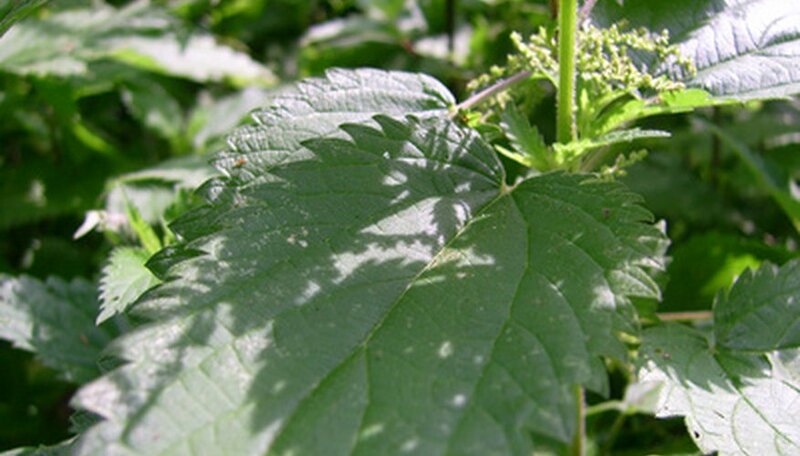 This nettle is commonly found growing in pastures, fields and waste areas. 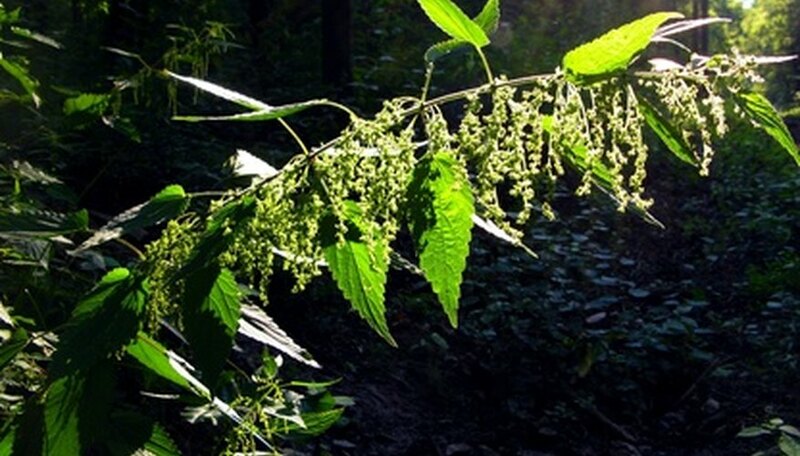 The stinging nettle grows 3 1/3 to 6 2/3 feet tall and has stinging hairs covering its leaves, stems and flowers. Aside from these characteristics, most other parts of the stinging nettle are indistinguishable from the heart-leaf nettle. The burning nettle (Urtica urens), also called the dwarf nettle, grows in Florida’s central region and panhandle in disturbed sites and cultivated fields. Like the stinging nettle, the burning nettle has elongated flower clusters, but its leaves also have sharply toothed edges. The tread softly (Cnidoscolus stimulosus), also known as spurge nettle, is an erect perennial weed that reaches 3 feet in height and has stout, branching stems. The many stems branch in a V-shape and bear hand-shaped lobed leaves that are arranged in an alternating fashion along the stems. Resembling maple leaves, the tread softly’s leaves have three to five deep lobes with “teeth” on the edges and whitish veins. The tread softly produces spiny, round to cylindrical capsule fruits that contain dark-brown seeds. The stems, pods, undersides of the leaves and leaf edges all bear poisonous, stinging hairs. The tread softly is easiest to identify by its larger, white star-shaped flowers. This stinging plant is found growing throughout Florida in abandoned fields, along roads, in disturbed sites, among pine forests and in other wooded areas where the soils are sandy and dry.